Under-cabinet lighting is one of the foundations of a well lighted kitchen. Upper cabinets, by nature block a great deal of the ceiling light, creating shadows. When using the counter, people also block a percent of the available ceiling light. Supplemental light unaffected by shadows is crucial to a usable and viable counter area. That light comes from under cabinet lighting fixtures. 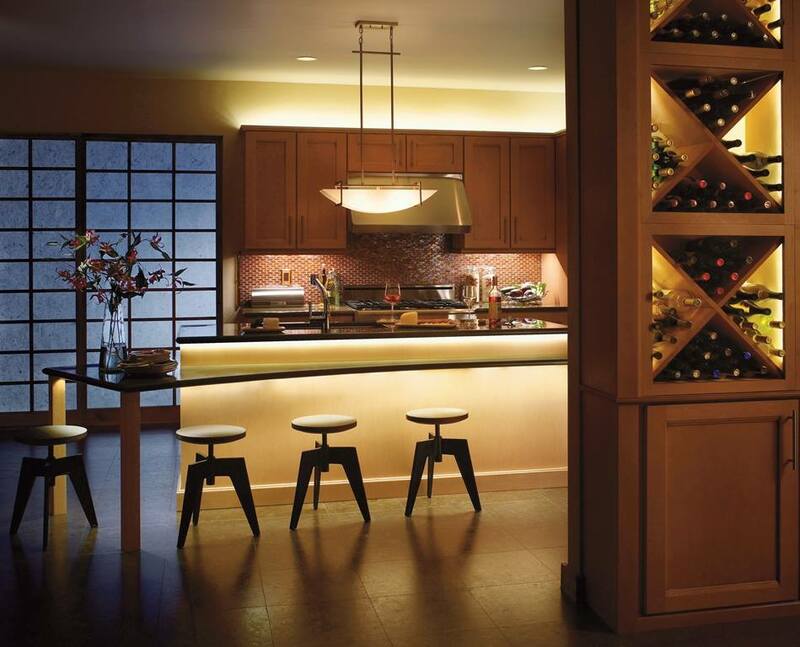 In many cases, under cabinet lighting is also used as a night light for the kitchen. Rather than burning all the high-wattage ceiling units, cabinet lights, even at a low level (if they are equipped with a multi-level switch), will provide adequate light for most evening activities. Skyline Electric stocks a variety of lengths of Kichler Lightings Design Pro Direct Wire LED under cabinet fixtures. These energy efficient fixtures make great task and night lights. Feel free to stop in to see our LED lighting display.